Techniques: The brains of the swatch is an ATtiny45. 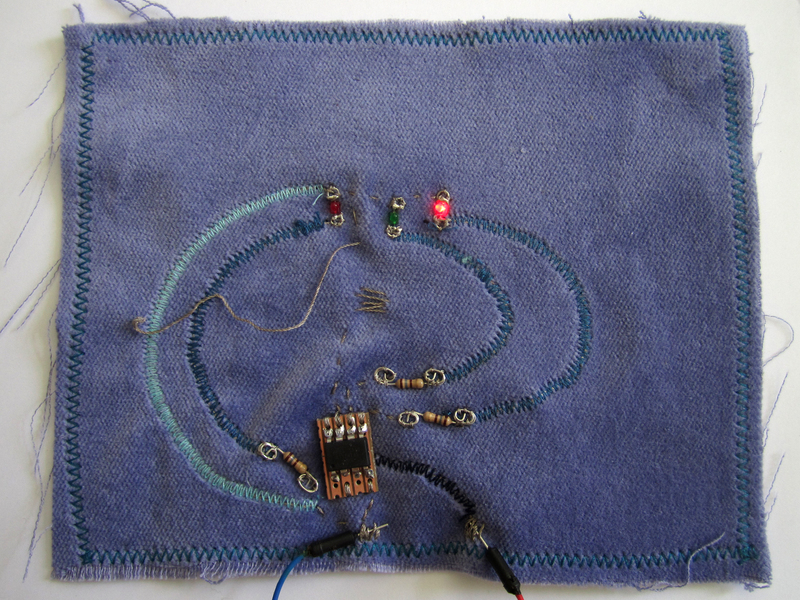 The surrounding circuitry contains SMD LEDs with wire loops soldered on to make them sewable and two soft buttons. The larger button is the game controller with the other being the reset to play again. 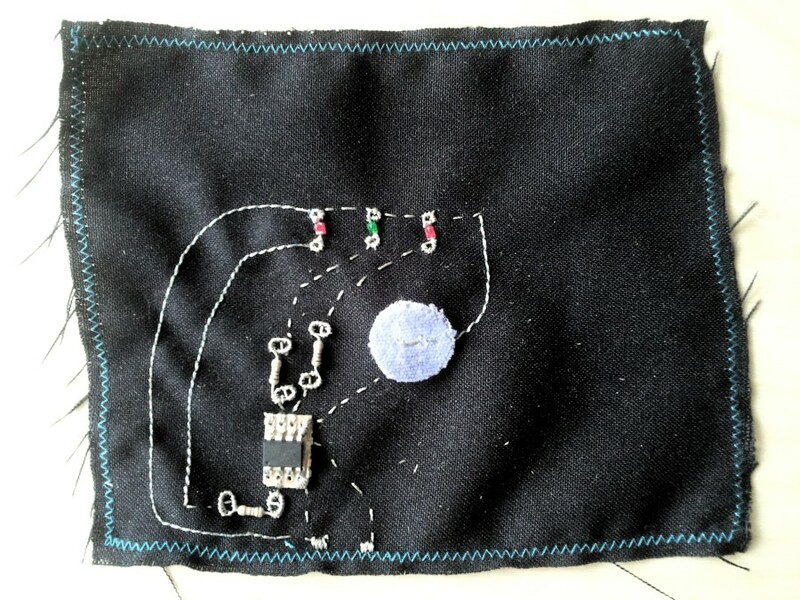 The ATtiny is soldered onto a small piece of stripboard that is sewn onto the fabric using conductive thread. 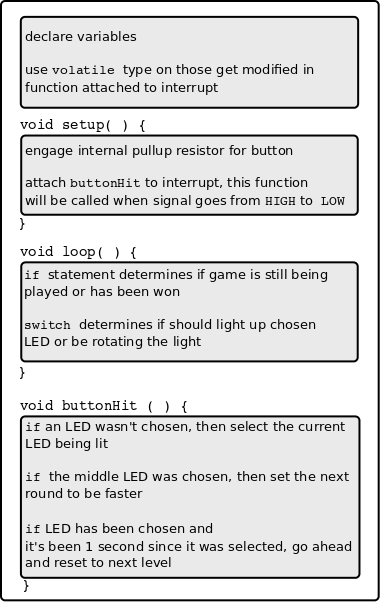 This simple game illustrates some slightly more advanced interactions with Arduino programming. Once you’re comfortable with setup, loop, variables, and basic programming logic, a good next step is working with interrupts. The swatch is a one button game of timing. The goal is to hit the button when the green LED is lit. To play the game, attached a power supply to the two sewn pads on the swatch. Be sure to connect the positive and negative the correct way. The swatch can be powered with 3 to 5V. A light should start moving across the 3 LEDs. Try to hit the button when the green LED in the middle is lit up. Hit the button a second time to start the next round. Each time you successfully get the green LED the light will move a bit faster. If all 3 LEDs start blinking together then you’ve won!